Can you say ultimate car computer monitor and interface? Very nice work. Now all I need is a breakout board, a driver and a touch interface and I am all set. There is no touch panel attached, and if there was, the touch-part on an iPad is not very straightforward, and requires a big amount of electronics to make it work. There isn't something you can just plug into USB. They do make capacitive touch driver boards that take a panel and break it out to USB. Then they translate touches to absolute screen position for the mouse (which is a technically standard way of a mouse behaving - they use it for drawing tablets mostly. In fact... add a touch screen and this would make an excellent Wacom tablet replacement for 1/10th the cost! No, it wouldn't make a Wacom replacement at ALL. Wacom uses a touch interface that only works with the specific pen (Accuracy and no accidental presses, plus you can rest your hand on it), it has different pressure levels (Hardness of the brush when used for Photoshop), it works from the air (That is actually very convenient, you only have to press the pen down when you're clicking), it has a right click (a button on the pen), and finally, it has GREAT accuracy, unlike most screens. And let's not forget it has a 1:1 representation of the image & screen. And of course the displays used are pro quality with accurate color reproductions at any angles, unlike iPad displays who are blueish just to look more vibrant. Awesome! Is the logic specific to the DisplayPort spec or can you do DVI->DisplayPort->This display? There are DVI to DisplayPort converters, but they cost about $100. Oh well. Good thing I'm buying a new card this summer! -- these are the first results at ebay for "dvi to dp"
Those cables don't work the way you think they do. You can have a DP output that is backwards compatible with DVI, but those cables won't convert DVI signaling to DP! s pretty much an external graphics card. DutchRam, that's not DVI->DP, that's DP->DVI. Just like those tv tuners turned software defined radios, expect a price jump on these displays. Thank you from all my heart, stranger from the interwebz! What is the refresh rate of the display? I found that the ipad3 has a 60Hz refresh rate, but that doesn't mean the display can't put out a higher rate. Would you consider selling the board/cable preassembled? Is there any way to connect this to an mhl cable? I ess thinking of using this set up to create an iPad screen dock for my android phone. I would buy the Chinese mockups but they have considerably slower soc and lower battery ratings. You'll make a lot of money selling proper converter boards if I can help it! I would love to do this, but get a proper bezel machined, too. Next step: touchscreen too -- this could be relatively easy and use an official iPad front. Most of them have an I2C interface if they have a controller. Unfortunately the touchscreen controller in on the motherboard and I think it's a custom chip, so it's basically impossible to use the original touch panel. Nothing's impossible. Maybe not your area of expertise but come on, you just got a display working without any particularly expensive hardware, I'm sure others can figure out the touch panel. If it's i2c then you'd probably just need an arduino or ARM processor to interpret it - that's a $2 processor in many instances! 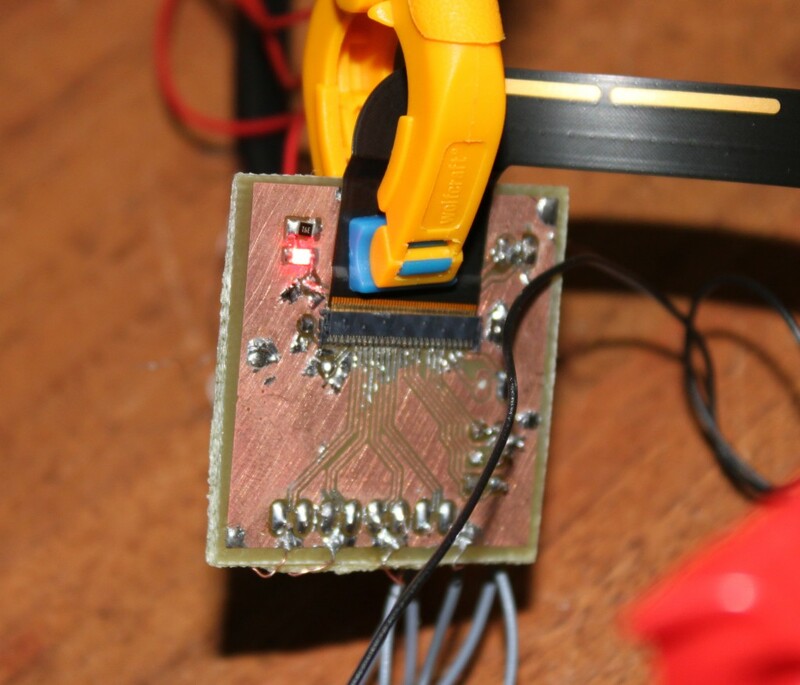 I think you can easily connect Bus Pirate, and if it's I2C, SPI or anything else.. then you can easily try to send something to the registers trying to find out what you get back. What game are you playing in the last image? High-resolution Oculus Rift clone, here we come! Please sell this thing and take my money! Look for "ipad 3 lcd" on ebay. I talked to Andrew at AssetGenie, who said the wholesale price on iPad 3 panels went up recently due to increased demand. I ordered two of these panels for $67 each (plus $11 shipping for the pair), shipped today. I also bought the connectors from newark as mentioned in my previous post. Really? You must have been using different search terms. I just bought it for $115 (including shipping). You need to search on ebay.com for "ipad 3 lcd"
if you decide to sell this, will be able at ebay? Great Post, May have to look into building one myself. Do you know if this would work used as an external monitor for a camera? the camera has SDI out, I was wondering if after I convert the SDI signal to an HDMI signal, that that can be converted to a DP signal and output my 1080p video? WTB a few of these adapters :) will be monitoring this post closely! Awesome work! I will also be watching closely for those adapters. I'd plunk down some serious cash for 'em. i hope you answer this . i am considering building a diy image projector (power led back light). as seen form the dimension and resolution this display would be perfect. the question is: is there a logic board to support this display or any other way without using a converter dvi to DP? If we go back to the 'LCD + overhead-projector = beamer'-era, this makes a fancy fullHD+ beamer for not even close to 1k~. Whoah. Could this be adapted to an hdmi input? I'm asking because this would be an excellent setup combined with a small arm board; however, most of them come with hdmi sockets. In fact, I haven't seen a DisplayPort board. Well i would like to run mij Playstation on a retina display. Would be perfect for the small space i'm trying to work in. What kind of adapter do you mean? 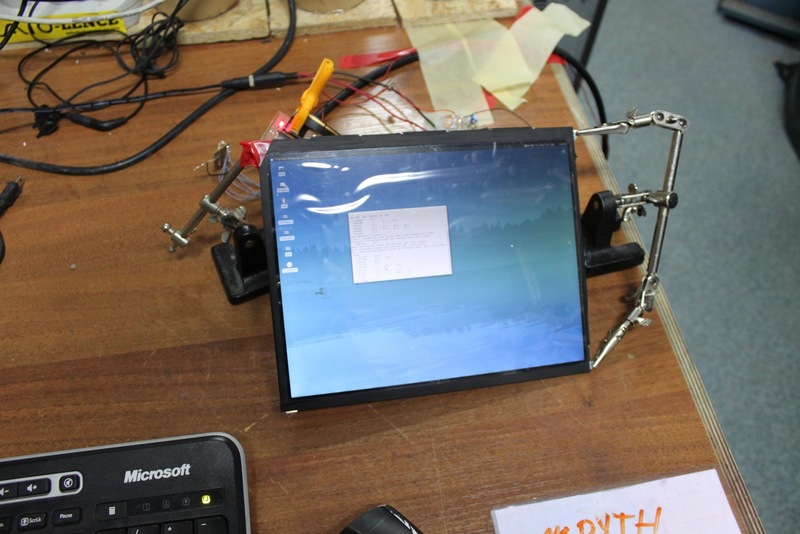 There is one ARM board with embedded DisplayPort, the Samsung Arndale. Most HDMI->DP converters on the market are limited to 1080p, so no chance to drive a retina display. couldn't at least display pictures and browse at the full resolution. Two problems. One is that you probably cannot set high enough clocks on the HDMI output (sometimes called "Fast HDMI") to drive 2048x1536@60Hz . The other is that you will not (easily) find a HDMI->DP converter which accepts this as input. I'd like to drive this display with a MacMini. Any chance? Have added your blog to my favourites, so the moment you have these adapters on the market, I can buy one! Just out of curiosity, what does the display identify itself as to the computer? That's fantastic work! I'd definitely be up for buying a few interface kits if you do end up getting them made. Be so awesome for my portable work setup. 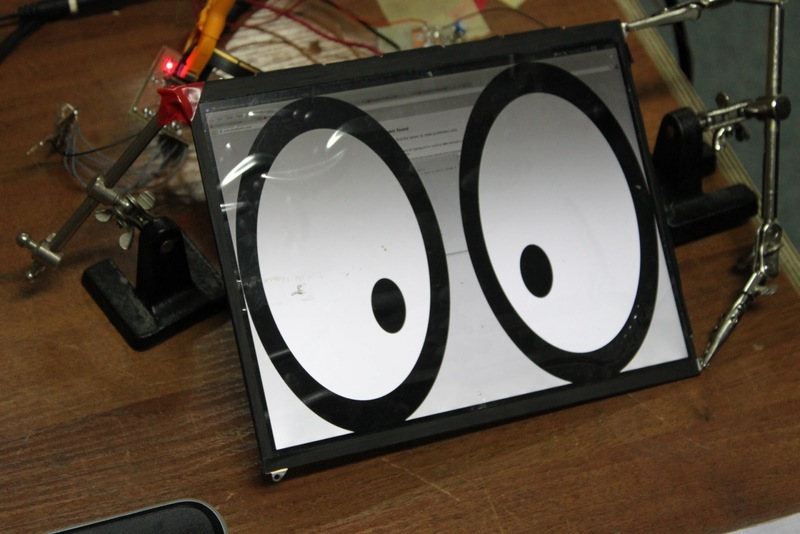 It's best idea for DYI external display! Can this board work hit the lcd? Do you found anything else about it? Looked over it and seems there is limit in resolution to 2560×1440. But looks very nice. The board seems to me is capable of driving the display but the connectors are wrong, looks to me hit a ttl type of connector and not a Flex Cable, plus eDP comes in different tips 30 pins 40 pins and ipad's 51 pins. Are you on IRC anywhere? Nope, you can contact me via e-mail. Find it for $55 with DisplayPort input and I'll agree that it's better. I did this last year, minus the ghetto part. Includes a proper backlight driver, ESD protection on eDP port, 3 buttons for power/brightness/whatever, STM32 MCU for control, accelerometer (for whatever purpose), and a RGB led. Perhaps you can share your schematics? There's absolutely nothing special in the schematics. And it's pointless to duplicate this on home-drilled protoboard as you need 4L for differential lane impedance matching etc. Yeah, I forgot to mention this is USB "bus powered" (lol) drawing around 800mA (but hey, what doesn't draw > 500mA these days?). STM32 has it's native USB pins connected, so it can enumerate as HID or whatever, there's actually a HID Monitor spec that Apple displays use for brightness/etc control from keyboard hotkeys. Someone earlier asked what does it show up as on PC, the displayport part enumerates as "Apple Color LCD"
Give us anything needed to replicate it, or sell it on eBay. Or both. I am curious what you used for the back light driver, if you don't mind sharing. Hi Timmy, love your build, it looks so professional!!!! Would you mind to share more build info with us? Now I know what I want to use next as a monitor. Is it possible to get it without (much) of a bezel so you could make this into a 3x3 display for gaming on a recent AMD card (eyefinity)? The bezel you see is part of the panel, there is nothing left to remove. You need would need to spend at least $600 in graphics cards to actually be able to run three of these displays at a respectable FPS in a game. Three displays is almost 9.5M pixels, a standard 1080 display is only about 2m pixels. I dont know if anybody said this before but you should definitely have it mass produced or at least do a kickstarter run! Does someone has that PDF around? it's taken offline. If you don't mind it being in chinese, oh well datasheets tend to have important bits in universal format. Would love to use this on my DYI overhead projector! Please take my money! Is the brightness of the display evenly lighted ? From the picture it look like the upper part seems darker than the lower part, or is it just a reflection ? Only half of the backlight LED strings were connected during that demonstration. You can do boards and sell them. But I found cheaper ones searching for "ipad3 lcd display"
Having taken apart several similar tablet LCD panels, the backlight and reflector assembly is generally held on with adhesive and quite trivial to remove. now install one of these into a macbook air 11 inch. i wonder if the pinout is the same. they are both edp. i wonder if the mba has the edp 4 lane that will support it. I want one too. This would be a great second screen for my MBP and it's portable. Emailed you, looking forward for your reply. Can the bezel be sawed off without killing the display? Now this is great for the iPad 3 Retina Display. Here's someone talking about the 15.x Retina from the Retina MBPro. I am wondering on your thoughts about the same for 13.3 inc MBPro Retina Display. If they all use eDP/ Display Port variant and not LVDS. Do you think we could find / ask if there are any LAPTOPS besides the Retina MBPs that would also be using eDP and possibly be modded/ hacked with a Retina Display. I have a Sony Vaio Z1.. few years old but has a Full HD 13.1" display. Connected with 2 lane DP. I think that the motherboard won't be wired with 4 lanes in mind. are there bigger panel options for the hi-res display? looking at 15 or 17". This project is awesome! Will work perfect with photo and video editing as a side preview screen. Is there a schematic available for your board? Did you ever get it working? As someone mentioned above I was wondering how one gets the back light reflector off without damaging the rest of the screen. how do I print/etch the pcb? How do I run that codes in the github's website to eagle pcb design? Why is everyone more concerned with projector projects than getting this thing running in dash? For projectors go smaller, like the display in the HTC One! I look forward to your work on this monitor idea, good work! Will this work with the mini DP on a macbook air ? i emailed him and asked if it would work with my macbook pro 13in mini DP and he said it should. any idea when a reasonably priced ($15-$30) adapter will be available, i saw one is available for $99, which seems high. Agreed. Paying more for a mostly passive adapter than an ultra high resolution screen seems a bit rich. One of the first comments was someone else showing their version which is exactly what we are looking for, but he didn't release schematics "Because it was too simple to bother" (to paraphrase). Thing is, as has been said, we are dealing with high frequency signals that don't like different lane lengths, and most of us don't have the expertise to design them. Building from a schematic is far simpler. Or at least we can ask friends. tl;dr Eagerly awaiting for the more professional schematic. That $99 adapter of mine would go for $49 (+shipment) if we can reach about 1000 orders. But doing a low cost version in low volume - 10 pieces or so, is not viable. The biggest issue is that the backlight significantly changes its properties with temperature (there are 84 LEDs) - that really needs a constant current driver to guarantee that the wear-out of the back-light is low. Arguing with the low price of the hi-def display is not correct here - try to buy a standard model, even the Z1's replacement screen (FullHD on 13.1") costs $300-$400. The thanks here goes to Apple, that it spread its devices on so big scale. So at the end, the total cost is divided by different ratio than with a standard solution. And remember - in any piece of electronics, you are wrong if you see just the components cost. Very nicely done, A couple of quick question if you don't mind: How many layers is your pcb? I am guessing 4. Did this really only take you a week or were you working on this before blog post. If we were to attempt to aggregate orders, how do you recommend doing it? 49USD (x2 in my case) + 15EUR shipping is a much better price than before. I will apologise for the comment I made before about the price being unreasonable. Having actually looked at the product page, it is a fair bit more complex than I expected. I guess I was expecting it without buttons and a switcher, and forgot about variable backlight control. Personally I wouldn't be using the switching (surely passive adapters would cover DP to miniDP) but backlight control is important. Well.. it would make sense to create separate DP and miniDP models later. The PCB is 4 layer and it was put together over a weekend. We had the schematics from the prototype (a 10x10 cm board on the pictures) and also from modules (separate backlight, DP in, DP mux, ipad out) which we use for development of more complex systems. To do aggregate orders - you would need some way to reserve the amount from the buyers credit card for few months until the delivery can be made from a significant batch. I am not sure how fast can one gather that number of orders. In few months we will introduce other products and for those to order and pre-order we will definitely have to setup a deal with a credit card company. But now the priority is for me in engineering those products. If you reply, please drop a copy of the message to my email too.. I am not going to regularly checking this site, thanks. How would we go about running a 13″ or 15" MBP Retina Display with eDP as an External Display? Does anyone know if there's a list of screens that use eDP? It would be nice screen options for something like a DIY Oculus Rift. The following ones from your list - Which laptops have them and would it be possible to plug in a MBP Pro Retina in their place? It would be possible in theory, but in practice it would take a lot of work trying to fit in the panel. Let say I dont care about fitting the panels. What could I used to successfully and conveniently drive a 13" or 15" Retina Display as external screen, using a laptop that supports DP/ miniDP output. Love the project, hope you are trying to make a board that you can sell. I would love to see the ability for the board to hook into an ipad 3/4 battery pack for it's power though instead of forcing an ac plugin. I like to remain completely portable for as long as possible :) The batteries are only 50$ on ebay too, so not adding to terribly much to the cost. will you need an external power supply in order to make it work? or is it emedded in the DisplayPort flow? After browsing through all the posts I see one about the 15in MBPro retina screens and would much rather shelve out the extra $ to get one of those, but these boards don't appear to work with it. Emailed re: some pin mapping clarifications, looking forward to your reply. Will be posting up a GPL-licensed adapter board with miniDP connector and back-light power circuitry once those clarifications are supplied. 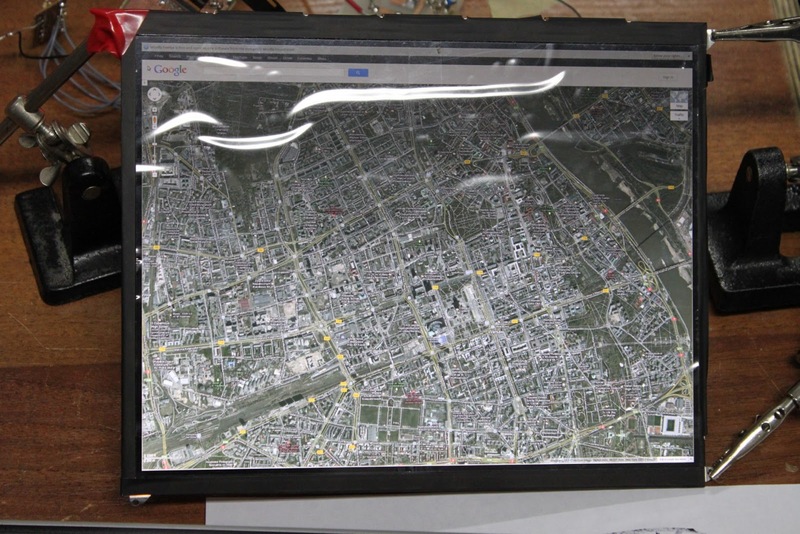 Hey, could you connect 6 of these displays as one huge resolution display? You'd obviously need a badass computer with 2 or 3 graphics cards (like HD7970). It would be cool to make a 3 horizontal by 2 vertical at a mega huge resolution in eyefinity. I have dual 7970s and they can run 5400x1920 across 5 1080p monitors, but for games like Metro and I'm sure much newer games, it chugs. I wouldn't bet on the investment being worth it, but if you have the money, why not? The main card has 4 displayPorts and in my opinion, it's the exact card you need to run Eyefinity. Attempting to use a card that doesn't use 3 or more DP on one card, will result it screen tearing. Any updates on the adapter? MiniDP support? I want to combine one with my wacom tablet to make a DIY cintiq. My next prototype PCB, with a DP connector, is already manufactured, now I'm waiting for delivery. MiniDP is only different mechanically, you can get an adapter to DP for $3. That sounds great, can't wait for an update. Hi fond a alternative screen, its from the nexus 10.
its using eDP and I believe to be better for most people needs. Hi, did anyone here buy the ROZSNYO adapter? If so, did it arrive? They mentioned May 6th as the day the first batch would ship so it's about time for it to reach the customers. I did, I was on the first lot but ROZSNYO says there were last minute delay and it was shipped about 21 May, and no, I still haven't got mine. There is one guy from Germany who had already confirmed the receipt of the board (and send me a screenshot, not a photo of the setup). Others are further away in the world. The 1st series packages were sent out actually on May 22. Thanks Daniel, confirm received the board, am in office now so cannot test, will update you info with the build! How can i open the schematic and PCB layout? Line 5, column 6: This is not EAGLE file. It is an Eagle 6.2 file, make sure you downloaded the file from git correctly. There this is slightly off topic but have you or anyone in these comments thought about doing this for the 15 inch macbook pro Retina Display? I'm not sure what the interface is, it may not be eDisplayPort so that could be a problem, iv been trying to find out what it is without success for the past hour, but you can definitely buy the lcd panels on ebay! :-) It would be so epic to have two of these 15 inch retina displays hooked up to my desktop! May I know the overall cost of these project and can it be used as a PC monitor? OMG this blog it's amazing! Nice I also share with you something hope this helpful for you. This is the most important point to consider while buying a tablet PC. Make sure to select a tablet with processor speed that suits your need and performs the job. Check it out thanks. Amazing tutorial! I will definitely be using this display for my carputer! Have you ever tried to display a protected video stream from a DVD? According to the specs this display does not support HDCP, but ASSR, which I doubt a regular graphic card to speak. Thats cool, i am looking such kind of information on lcd screen.Thank u for giving the information on LCD screens to connect with Screen. I have a DP2Retina display adapter for sale on eBay. This is really a nice site. I liked it.I also liked your writing. Matemingler is the number one dating site for singles seeking long-term relationships. Join for free to be matched with compatible singles. I would be interested in buying one of these already set up and ready to work with a usb input.. I have a microscope that I work with and need a good monitor. If you are interested I am interested in paying for one complete. I'm also after the best place to get replacement lcd screens but occassionaly others. To echo others I would be very interested in buying a pcb from you, I don't know if you could do a group buy or something but I'd like to buy a couple. Also, I love openttd. Good game. 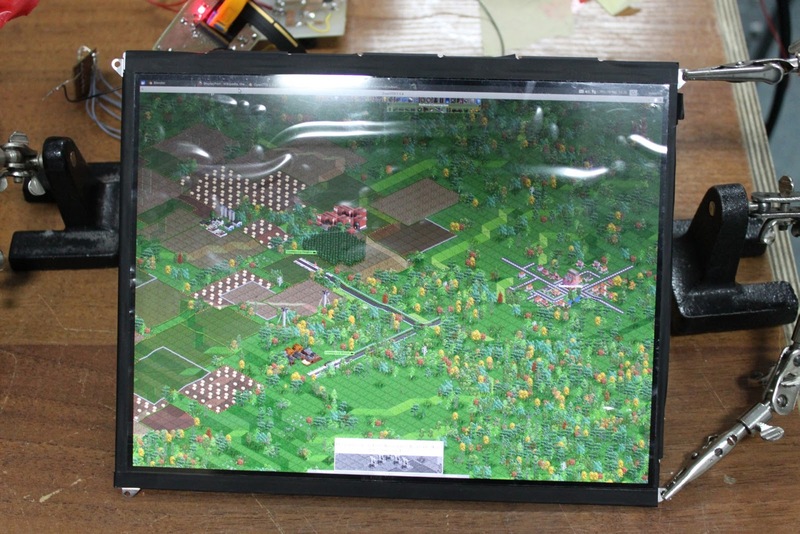 Did you try this adapter with a large scale display panel ? like a 27in. I think 27 inches from all-in-one computers use embedded displayport. Same as Ipad screen ? I have a cheap HD TV with HDMI input so I can connect my camera to directly to view my images. I'd love to use one of these monitors as a mini tv with hdmi input so I can view my video or images from my camera while I am out in the field. If anyone has the proper parts I'd be very willing to put together a camera viewing monitor in HD. Yes, I am sure I'd have to have a portable power source but I do actually have a nice 12volt Lithium battery that is very light to take in the field to use as my external power source. Easy to carry and rather light weight. You're looking at an entirely different datasheet, I used the TPS61175 from Texas Instruments. The schematics are in the datasheet. There are hundreds of different step-up converters that you could use instead. Hello Emeryth. What are SV1 and SV2 in the schematic? I think that maybe are the resistors? How are the connection inside of SV1 and SV2. If you have used a array of resistors maybe you can give me the part code to find on the Internet the data-sheet. Finding a DP video cards is no problem, but anybody know of any mini-itx motherboards with internal DP? Say maybe, for an all-in-one type PC? i found a Gigabyte MSH87DI with internal LVDS 24bit, but it wouldn't work for retina display. I ask cause I'm working on a All-in-one case mod and don't want to run the cable back into the box. But I am working on a little bit more robust Layout and I was wondering if you check how many data line pairs the iphone display needs to work. 1 or 2 or 4? And did you know anything about the needed impendance for each line? Hello Emeryth, in the PCB layout made with Eagle the tracks are too narrow and has too small clearance between the tracks.The Kicad PCB is double side and has narrow tracks and small clearance too. Any solution? The tracks have to be narrow because the LCD connector has very narrow pins, there's no way around it. Hello Emeryth. How you solder the tiny LCD connector? Have you try to drive the LCD just with 2 or 1 eDP LANE? Will be nice for example to drive two LCD by splitting the cable in two. Driving each LCD with just two lane is possible?.If is working with only one lane then maybe one cable can drive 4 LCDs. Would you be so kind to try it out?